We learn by doing. We’ve all got something to contribute. When I hear about a discovery or invention, it sometimes seems inevitable that the people involved should’ve ended up where they were, doing what they did, as if they were handed the situation or the whole thing were preordained. At the very least, I don’t give much thought to what in their lives led them to that eventual point of discovery. I doubt I’m alone in this. 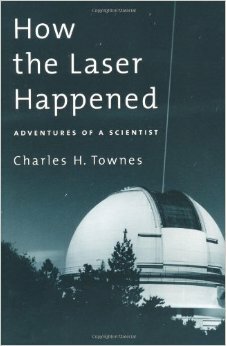 The development of the maser and laser … followed no script except to hew to the nature of humans groping to understand, to explore, and to create. . . . What industrialist, looking for new cutting and welding devices, or what doctor, wanting a new surgical tool … would have urged the study of microwave[s]? That’s a quote from “How the Laser Happened“, the autobiography by Charles Townes, of what he called “the many false starts and blind alleys on the way to [the laser’s] realization”. It’s a story of technologies, but it’s also the story of a person – of a childhood and life-long education, of a curiosity and drive that led to a Nobel Prize and other awards, contributions to one of the most versatile tools of the 20th century, and advice to the armed forces, various governmental agencies, President Reagan, even NASA. Townes’s childhood was full of opportunities to tinker with machines and explore nature. When I think back to being a kid, I could have fun just pulling apart an old radio, or turning a cardboard box, tin foil and some sheets of paper into a computer. It doesn’t take much to set off a child’s imagination. Looking back now, I see that the chance of having a family such as I had, of having a brother with whom to go collecting in the woods and creeks, of having fine and encouraging professors and interactions with challenging young colleagues, all provide a lesson in how a career in science gets going. I mention this, because I am not at all sure that the public has a clear idea of how scientists get started and how they work. Eccentric scientists struggling alone with their ideas, brilliant social iconoclasts in isolation from everyday worries and following a clear internal vision, make popular drama but they are not the general rule. . . . A life in science, as with most things human … tak[es] off in directions that are hard to predict. One thing that helps, though, is parents who encourage such exploration, and who never stop learning themselves. We lead by example. Seeing his parents thirst for knowledge inspired his own. Our parents eventually got used to having snakes in cages outside the house and bits of foliage stashed in our bedrooms, as food for the caterpillars that we wanted to watch transform themselves into chrysalids and eventually butterflies, but which as often as not simply crawled off to explore the house. We had a large aquarium outside for fish, tadpoles, and turtles. Ours was a world of responsibility but also of adventure and imagination. My father was an amateur naturalist and would have made a fine scientist himself. . . . Our parents were strict about church, proper behavior, and school work. Any difficulty with school meant that they would drill us. Both of them went over our homework with us. . . . The house … seemed full of encyclopedias. Father insisted on having reference books around. . . . Mother … was rather intellectual as well – she took every course the local women’s college offered, then took correspondence courses after that with a group of friends. For Townes, discovery and exploration were exciting in themselves, separate from any solutions that may or may not have resulted. 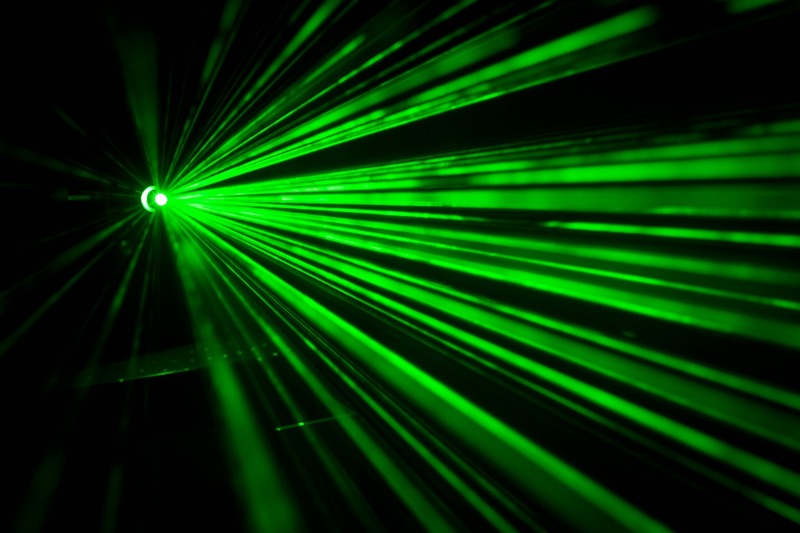 The truth is, none of us who worked on the first lasers imagined how many uses there might eventually be. This illustrates a vital point that cannot be over stressed. Many of today’s practical technologies result from basic science done years to decades before. The people involved, motivated mainly by curiosity, often have little idea as to where their research will lead. Our ability to forecast the practical payoffs from fundamental exploration of the nature of things (and, similarly, to know which of today’s research avenues are technological dead ends) is poor. This springs from a simple truth: new ideas discovered in the process of research are really new. It all starts with a healthy dose of curiosity about (and appreciation for) the world, about how things work, and what’s under the next rock and around the next bend. [Bell Labs] also started something that seemed fantastic at the time, a weekly get-together among eight or ten physicists and a couple of physical chemists. Bell Labs provided tea and cookies and told us just to discuss issues and concepts in the latest interesting research. This informal colloquium was, I believe, unique in industry then. . . . My new job plunged me into an environment more interesting and stimulating by far than anything I had expected. I agreed with a great deal of what the antiwar people were saying, but I could not go along with just being arbitrarily against government or the military. The Vietnam war was a policy mistake, and what was being done was poorly carried out in my view, which made it all the more important to stay in touch with the policymakers and try to advise them as well as one could. Townes’s childhood was full of the opportunities to enjoy and just *be *in nature, to be curious about the universe. Hopefully, while we’re getting kids familiar with technology and STEM fields, we’re fostering their innate curiosity about the world too. Some clearly recognizable paths toward discovery can be defined, but they may be less fruitful than energetic, persistent, and flexible curiosity – simply exploring and trying to understand. Much that we haven’t yet imagined, and thinking we have not yet thought, remains in both science and technology. For bonus points, you can check out Townes’s original patent for the maser. I write when I've got something to share - a personal project, a solution to a difficult problem, or just an idea. We learn by doing and sharing. We've all got something to contribute. I occasionally include affiliate links for products I own and have found to be of good quality, or after checking reviews and feeling confident they are good products. These links don't increase your cost at all, but using them helps pay for this blog and the time I put into it. Thanks! If you like what you read today, and you'd like more of the same, enter your email below to receive weekly updates. How do I view the dev console in my browser? Keep your EUnit teardown logic as simple as possible! What do you do if you lose access to your Mozilla Addons account?